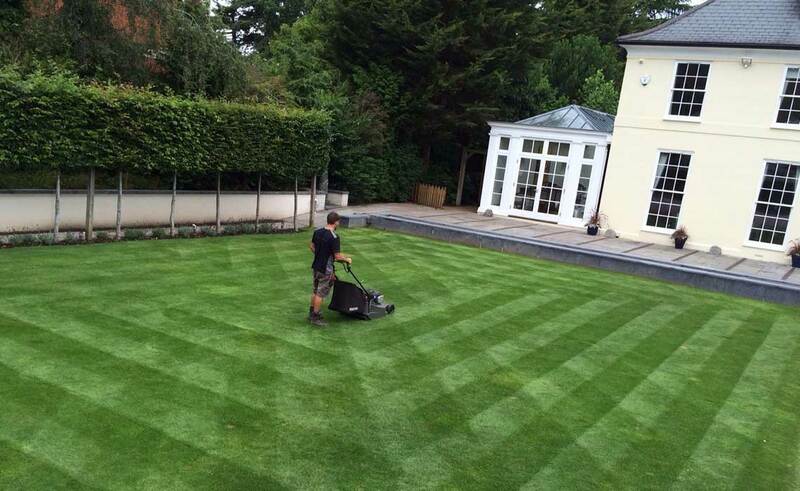 Our customers love their lawns and always want them to look their best. Good lawn care practice covers many aspects of our work and here we consider the benefits of one of them; raking and scarifying. If you have a fine grass or ornamental lawn, raking and scarifying should become a necessary task within the annual maintenance work schedule. 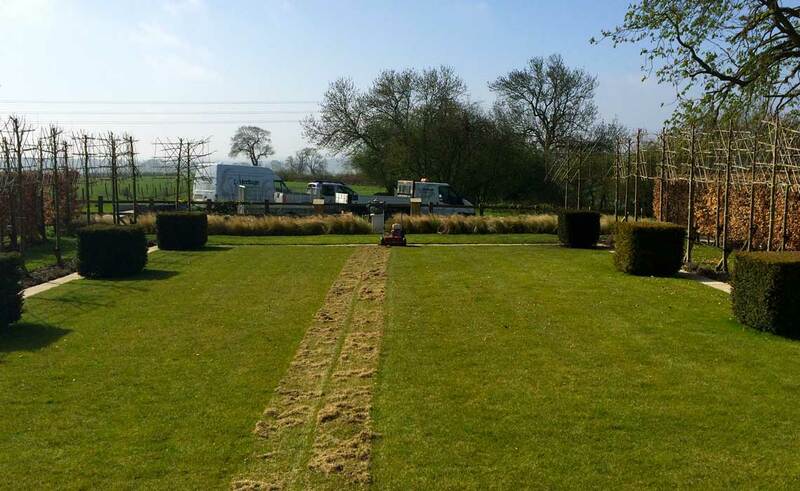 Scarifying is a process that removes dead organic matter usually in the form of grass clippings and dead moss, also referred to as thatch, that clogs up within the grass and down to the surface of the soil. Moss in particular causes problems in wet lawns, shaded lawns and lawns growing on clay soil. Once you have thatch in your lawn it is best to tackle the problem before it gets too bad. We use lawn scarifying machines equipped with revolving vertical, steel blades that cut and pull through the thatch and moss, lifting it onto the surface of the lawn where it is then raked and collected for disposal. You will be surprised at the amount that we remove. This cutting action also allows the blades to prune the grass plants by cutting them downwards rather than cross cutting as during mowing and this beneficial pruning causes extra shoots to grow which thickens the turf. 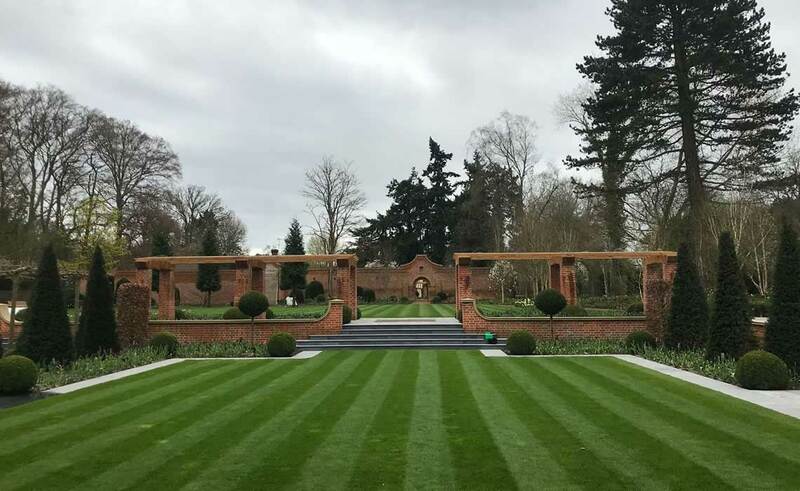 Once the lawn has been scarified we usually over seed, and by letting the scarifier blades cut just into the surface of the ground during the last run over, opens up the soil to make an ideal seed bed for introducing the new grass seed to the lawn. The result is a firmer lawn that allows for air, nutrients and water to easily pass through. The best time of the year to carry out raking and scarifying is during the autumn. It can also be done in April when the weather begins to warm up which increases grass growth and assists recovery but raking and scarifying in April should only be done lightly. Heavy raking and scarifying is best carried out in the autumn which will leave the soil exposed in places and makes an ideal bed for over seeding as well as any floating around weed seeds, so by confining the heavy raking and scarifying to the autumn will avoid the bulk of the years weed seeds. If you need further information on scarifying lawns, please contact one of our friendly gardening team on 01895 438 811. 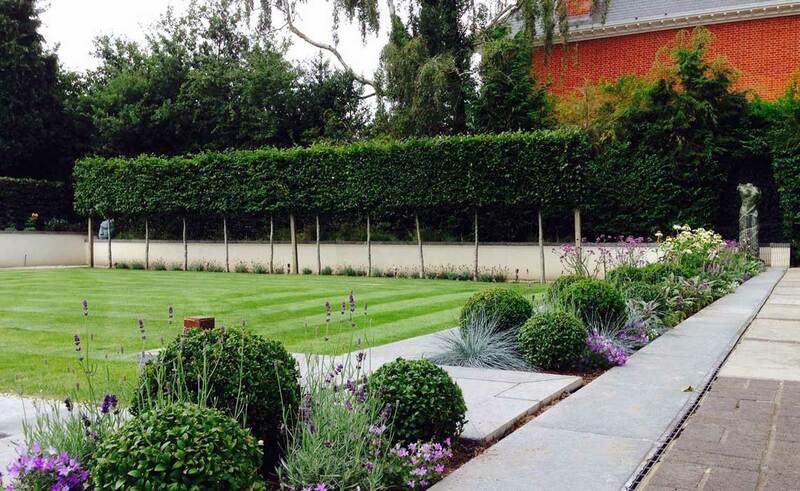 We are based in Buckinghamshire and treat lawns across the home counties.